Craft beer, sausage and hand cut french fries. CreekSide Hot Tubs & Sauna Co. Experience Tea in a Whole New Way! TeaLeafs provides a warm and comfortable atmosphere to sniff sample tins of all of the loose leaf teas available. Browse the store and relax while shopping. Enjoy the experience. In addition to loose leaf teas, TeaLeafs also offers top quality boxed teas, tea accessories, teapots, mugs, cup and saucers, cookies, candy, honeys, gift baskets, “Mommy and Me” baskets for the new mom and baby, children’s tea sets and lots more. While on vacation a few years back, my husband and I found a charming little store in a very “touristy” area. We purchased a spice gift for friends and the response was that this item is something you wouldn’t find in Buffalo. Light bulbs went off and I started sampling spices and rubs. Basically being salt, pepper and garlic people, our children had a ball with all of the different products that we were receiving. The next step was attending an International Food Convention to meet different vendors from around the world. While there, I was handed a cup of tea. Never having tasted anything but a well known name brand tea in a bag, I was blown away by the magnificent taste of a “wonderful” loose leaf tea. I looked at my husband and said that I found what I wanted to do and that was sell high quality loose leaf tea. The rest is history. 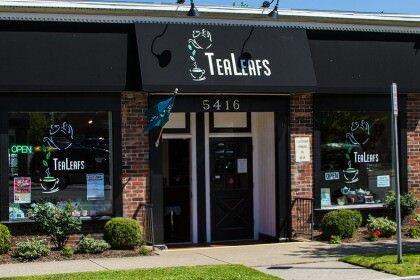 TeaLeafs opened in May of 2009 and now has over 220 varieties of loose leaf teas from around the world. Every tea is personally tasted before it is brought into the store with new samples being tasted every week. I need to feel that I have provided the best, freshest, and highest quality tea available. In addition to loose leaf teas, TeaLeafs also offers top quality boxed teas, tea accessories, teapots, mugs, cup and saucers, cookies, candy, honeys, gift baskets, “Mommy and Me” baskets for the new mom and baby, children’s tea sets and lots more. The Williamsville Business Association, Inc. is a group of business, professional and civic leaders whose purpose is to promote the growth of the business environment and to enhance the quality of life within our community. 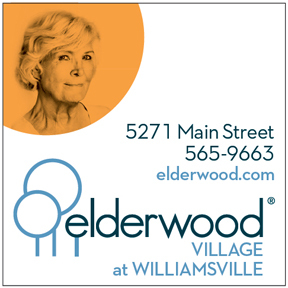 Over the past 33 years, our Association has represented the merchants and professionals in many ways to make our village a bustling center of commerce.We welcome you to discover why Williamsville, New York remains a great place to live and do business.